The Palestinians’ presidential spokesman, Nabil Abu Rudeineh, said the UN's decision to give Abbas the leadership spot was "an important achievement to assert the Palestinian identity in the international community." In 2012, the UN elevated Palestine to a "nonmember observer state." But, as Haley notes above, they were never awarded official membership status. They have launched a bid for full membership, which the U.S. plans to veto. Haley's effort to expose the UN's anti-Israel bias began just as soon as her tenure did. 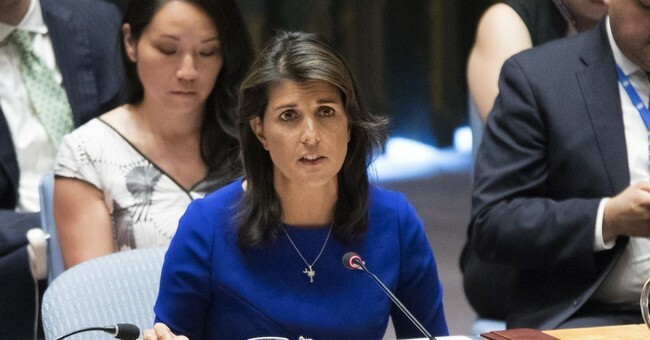 Last year, when the majority of member nations condemned President Trump's decision to move the U.S. embassy in Israel from Tel Aviv to Jerusalem, Haley stared them down and told them the U.S. would be "taking names." To Israel's chagrin, Haley announced her resignation in October.